Vanwurks was established by myself, Nick and my (now) wife Liz back in 2004. 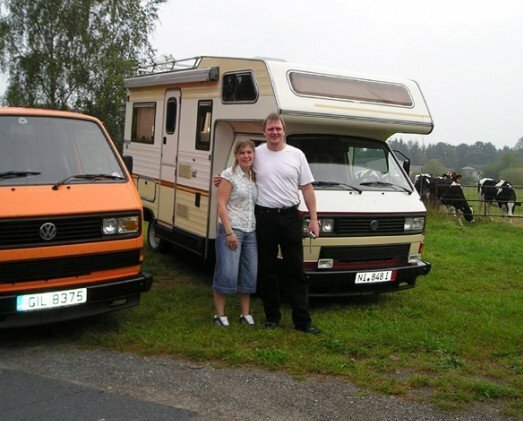 However, our love affair with Volkswagens started a long time before the first VanWurks Camper Interior rolled off the production line. I was first introduced Volkswagens at the tender age of seven when my Dad took me along to Volkswagen in Manchester to collect our brand new T25 7-seater Danbury on the 1st August 1981. 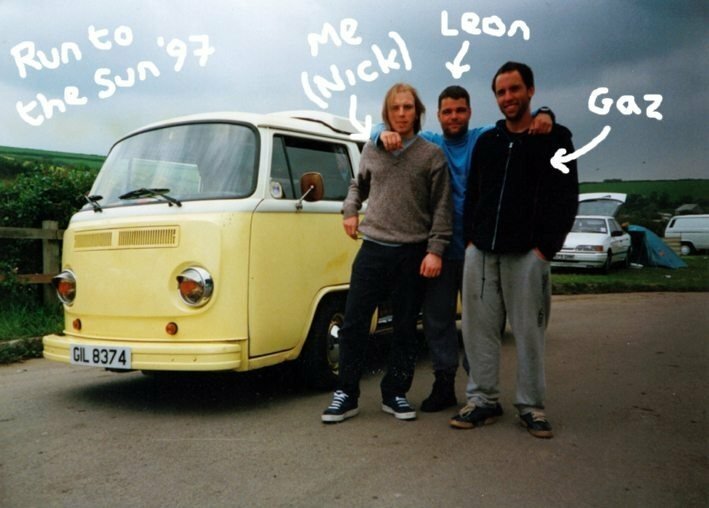 I can still remember the day now, sitting very excited in the back of the van all the way home, it seemed massive inside! It had two seats as you opened the sliding door which could not only swivel round to enable you to use the table, but could slide sideways and recline to make a double bed with the bench seat which ran across the back. 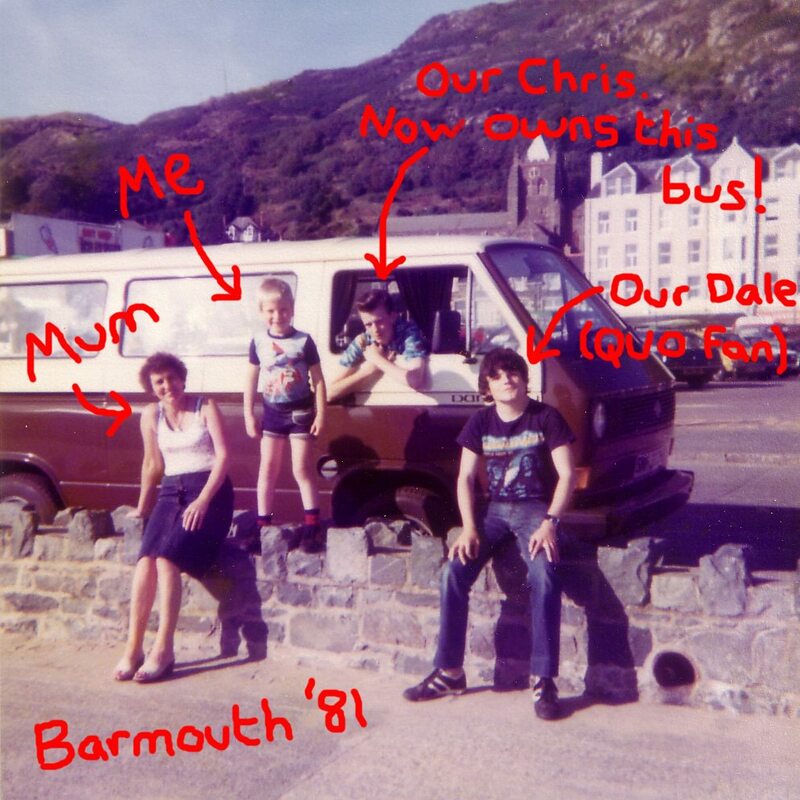 Our new Danbury Camper, Barmouth, August 1981. That’s me stood on the wall. Incidentally, my brother Chris sat in the drivers seat now owns the van today! The van also came equipped with very basic camping equipment, two-burner hob, wardrobe and table kit. 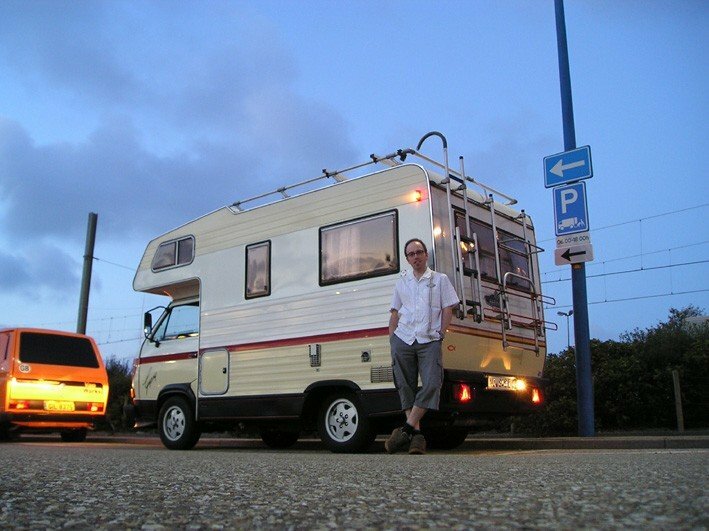 We enjoyed many family holidays in ‘The Danbury’ and it was only a matter of time before I got a camper of my own. 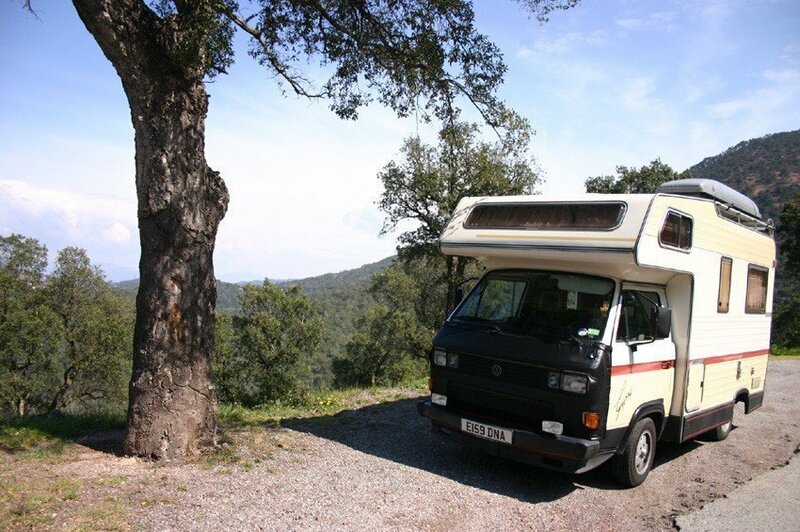 In 1995 I became the proud owner of a 1978 T2 Bay Window Devon Moonraker. In the original two tone green and white paintwork and brown interior, it needed some TLC but it was mine! I have fond memories of the early years with my camper. Drunken nights out at the student union then a short stagger back to car park to kip in my van only to get up and head straight to lectures the following day, to spending the summer touring France and Spain packed to the hilt with roof rack and bike rack. After four years of being used on a daily basis, the time had come to treat the bay to a restoration. With new Californian cab doors and deck lid, new wheel arches and battery trays and a full re-spray and the finishing touches of some Empi 5 spoke alloy wheels, the bay was ready to hit the road again. I still own the van today and it is used as one of our demo buses of the ‘Classic’ interior. Following the resto of the bay and in trying to relieve it of some of its daily duties I bought a 1988 T25 panel van back in 2001. 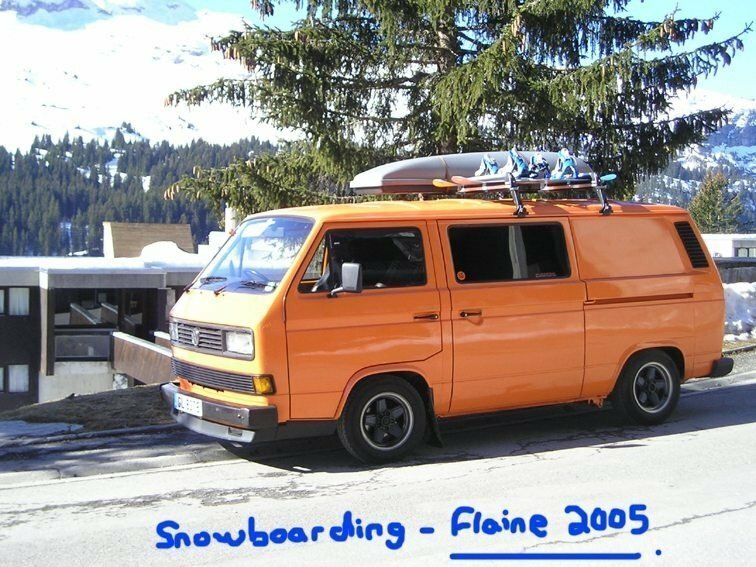 In bright orange, the ‘wedge’ was one of my favourite vehicles and one I regret selling. I converted the van into an ideal weekender camper with black ‘Ricaro’ cab seats and a matching rear seat that converted into a bed and small hob/sink/fridge kitchen unit and storage unit. Its 2.1 injection petrol engine (LPG converted) made it great fun to drive and certainly helped when we took it on a road trip to the Alps for our annual snowboarding holiday. 2001 was also the year I met Liz. I thought I was into my Volkwagens but I think Liz took it to another level. At the time of meeting she had two beetles (one road worthy, one on a long term restoration programme) and two campers (again, one road worthy and the other in dire need of something!). I also thought she was a bit crackers as she had names for every vehicle and spoke to them if they were misbehaving?! Berty (the resto bug) was Liz’s first car and although cost her a fortune to run (when actually running) she insisted on keeping in the hope that one day it would be her wedding car. 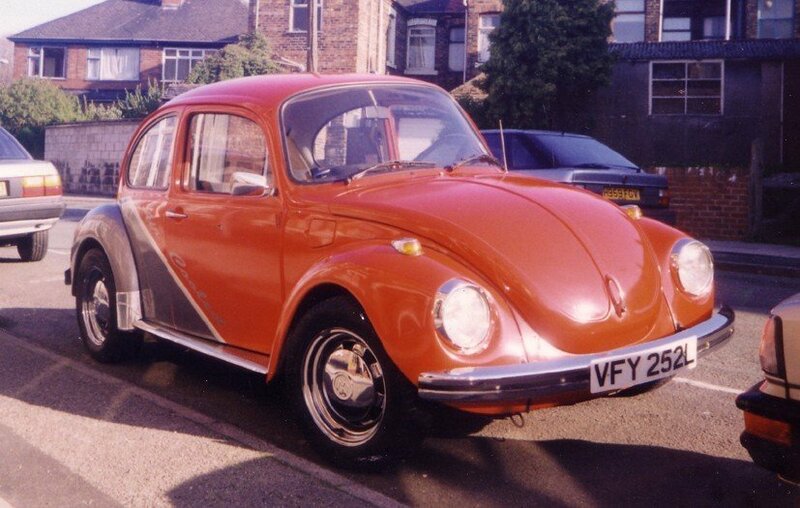 Henry (the working beetle) was her daily driver, a 1303 in red and silver. Whilst he was much loved (to Liz anyway), he came to rest in 2004 after needing to consolidate our vehicles, and due to needed too much work to keep him going! 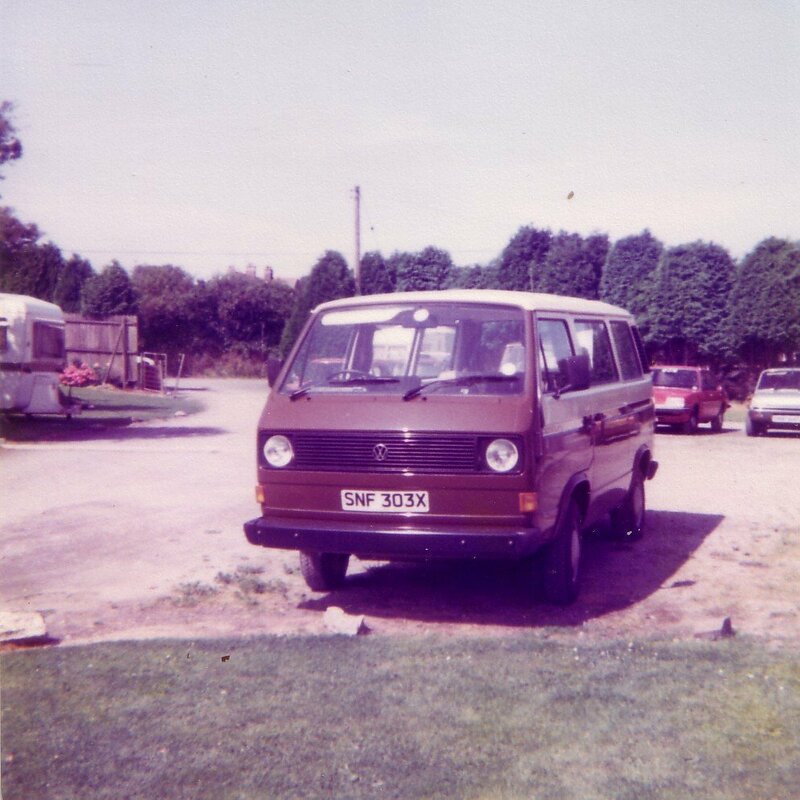 George, her first camper, was a home conversion panel van and whilst it wasn’t the best looking van you may have seen, she tells me she had many a good time at the VW shows with it!!! Humphrey, (the other camper and last of her vehicles) was a 1972 Dormobile, all original and complete with leaking sky lights! Unfortunately, Humphrey also got the chop from our household in the consolidation plan….fear not, he was sold not scraped. 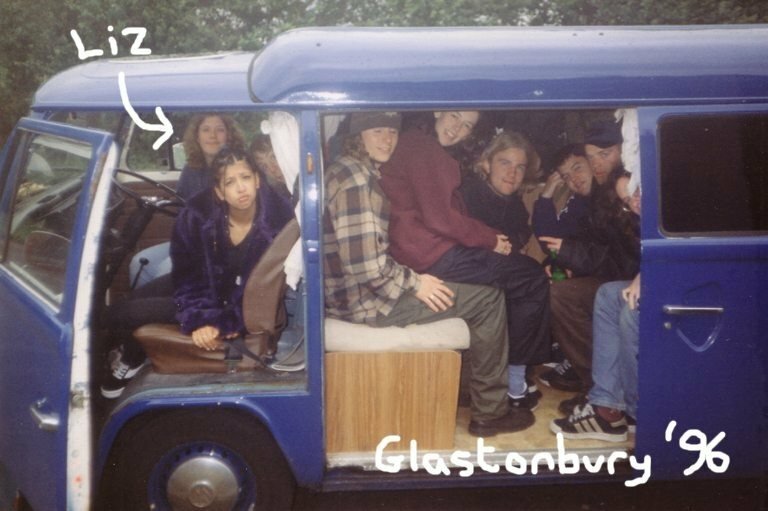 Liz’s 1303 Bug and driving her beloved ‘George’ the camper in 1996. Good job those windows were tinted! In 2006 I proposed to Liz and plans we put in motion for a wedding and more importantly, honeymoon. Not wanting to throw money away on an ‘all inclusive’ and feeling the need to expand our Volkswagen family, we headed off to Germany to find ourselves a T25 Karmann Gipsy. Off to Germany! Liz and Jorg, the guy we bought the Gipsy off and waiting to board the ferry in Holland. 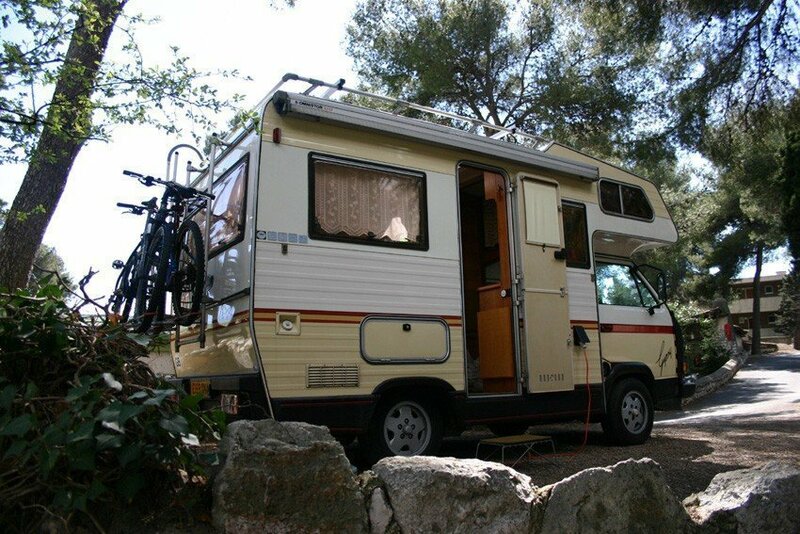 After viewing three, we became the proud owners of a 1988 ‘Gippo’ bought from Jorg and Gisela from Lemka just outside Breman. We got married in March 2007 with Berty finally restored and fulfilling his purpose in life of being Liz’s wedding car. 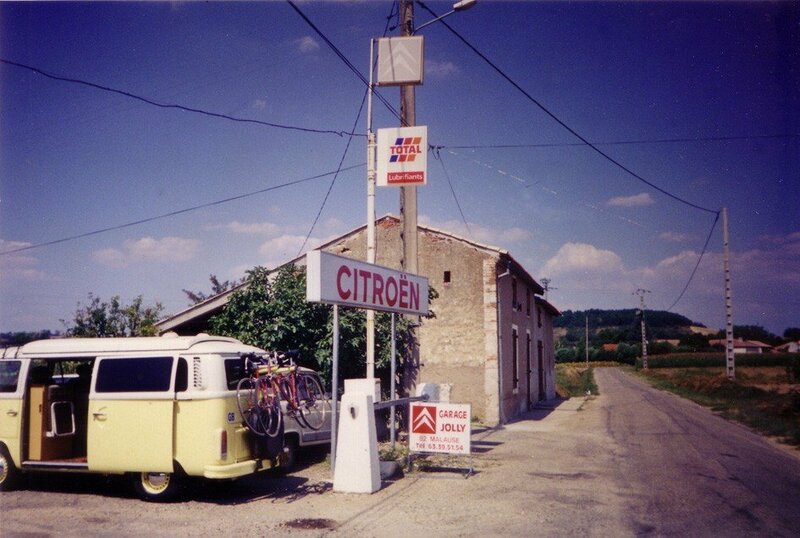 The honeymoon was three weeks touring France getting as far Chamonix and St Tropez. On from Chamonix and down to the French Riveria to catch some spring sunshine. 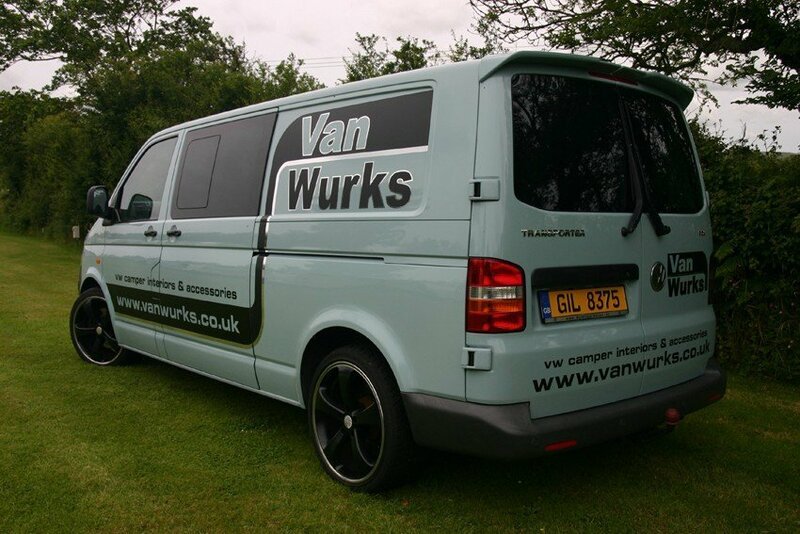 In recent years and as Vanwurks has grown we now also drive, a 1964 Split Screen camper and a T5, T30 174hp, SWB as demonstration vehicles and a T5, T32 174hp LWB Combi Van as our daily runner. Along with our bay and Gipsy, let’s just say Volkswagens still play a big part in our lives…….and we love it!